Harry N. Abrams, 9781419725753, 64pp. Vik Muniz is best known for his 1996 series Sugar Children. Muniz has been the subject of more than 170 solo exhibitions and has participated in more than 340 group exhibitions in 31 countries. He splits his time between Rio de Janeiro, Brazil, and New York City. Joan Sommers and Amanda Freymann are the authors of numerous books, including Chuck Close, winner of the Boston Globe–Horn Book Award. Joan lives in Chicago, and Amanda lives in Beverly Shores, Indiana. Ascha Drake is a visual arts teacher at the Bay School of San Francisco. She lives in Oakland, California. "Visually busy...Muniz's art is splendid." " . . . overall this works well as an introduction to an artist and his work. It’s an interesting visual experience and a call to creativity." "Photographer Muniz explores the importance of play and the power of art to command a viewer’s attention . . . It’s both a playful introduction to Muniz’s oeuvre and a chance for readers to rethink what they believe art to be." "Sophisticated themes including art as social commentary, the relationship between artist and viewer, and the importance of self-reflection are presented in a way that is both thought-provoking and accessible . . . 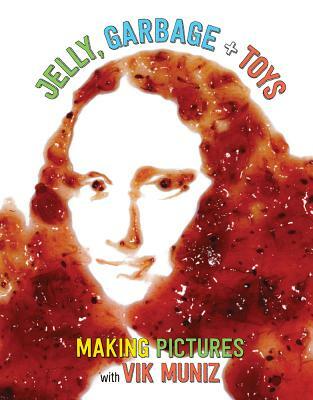 This book will appeal to artists and innovators of all ages while expanding their idea of who and what can make art."